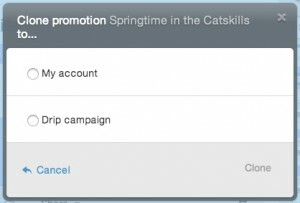 So you’ve created a new promotion, in your dashboard… and now you want to use it as a Drip Campaign email?! Fantastic, you’ve come to the right place. You may already know that in order to clone any promotion in your dashboard, all you have to do is click the little sheep button, right underneath the promotion thumbnail. 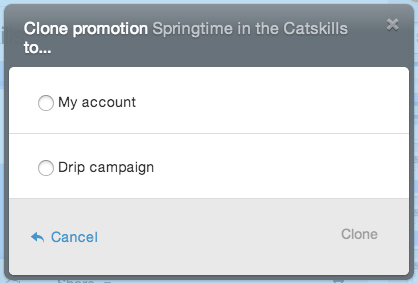 But you can also use this very same button to clone that regular promotion into a Drip Campaign! Pro tip: Make sure you have your drip campaign created, first! That way, you’ll be able to tell Mimi exactly where to put that cloned promotion. Choose the correct Drip Campaign from the list of all your Drip Campaigns, and then click on the “Clone” button – Mimi will take care of the rest for you. Click on “Drips” near the top right of the page, to check out your brand new Drip Email. 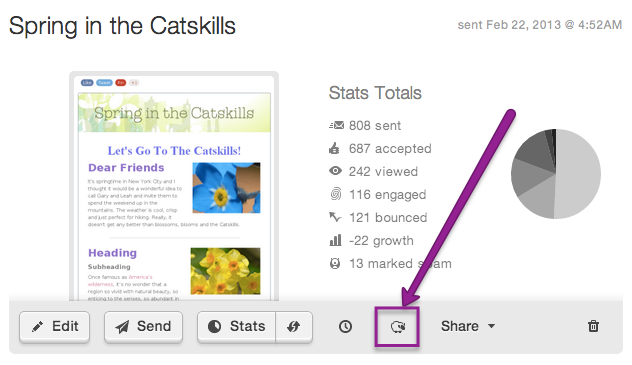 Now you can curate your Drip Campaigns from anywhere!